Immigrants have experienced a break in their primary relationships. They have lost their extended families and have to begin to feel at home again. Their primary need is a welcoming face telling them they are not out of place. A welcoming face is the face of God on a journey that has more to do with the internal landscapes of the heart than the external journey from one place to another. The Migrant Rights Centre Ireland is a project which was initiated by the Columbans in response to the dramatic increase in migration into Ireland from the late 1990s onwards. The booming economy at the time needed workers and they came from all over the world. While many thrived and were welcomed, many others did jobs that involved long hours, low pay and poor conditions. The work permit system, at the time, gave undue power to unscrupulous employers, who used the threat of permit withdrawal and deportation as a way of keeping workers from getting their legal rights under law. Many of these migrants came from countries where Irish missionaries had a long history of service. It was natural that when difficulties arose for them that they would turn to people who had some understanding of their life and culture. 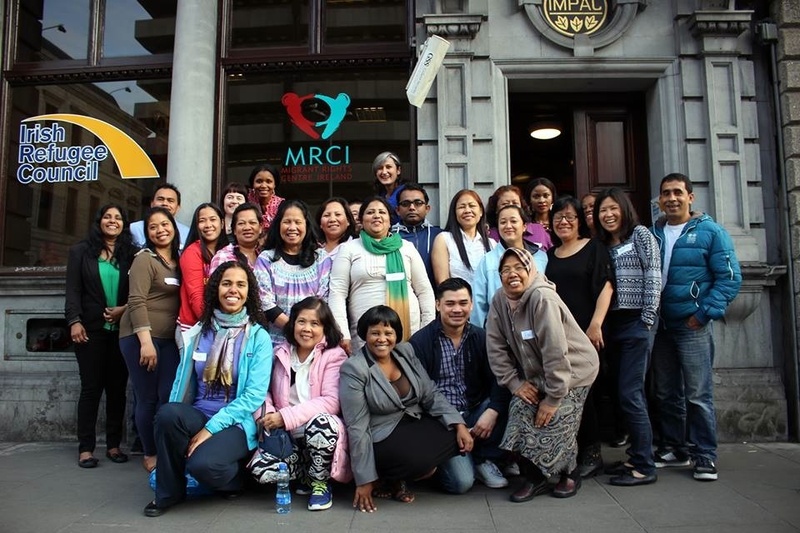 Initially responding to the needs of the Filipino community, a group of Columban Sisters, priests, lay missionaries and co-workers began what was originally known as the Filipino Migrant Information Centre in the basement of a building in Dublin city centre. Very quickly the name changed. It was clear very early on that the challenges faced were not just ones for Filipinos, and were not just a Dublin-based phenomenon. They were issues for all who fell into the category of migrant, particularly those here on work permits. It was also clear that lack of information was not the central problem – the challenge was to ensure that migrants were treated justly. And so the name changed to the Migrants Rights Centre Ireland (MRCI). Integration is the beginning of that internal journey into the unfamiliar. The Migrant Rights Centre is a beacon on that journey enabling a migrant to say to themself – if I can make it here I can make it anywhere. In 2013, the work of the MRCI was recognised when it was given the prestigious international Solidar Silver Rose Award for its efforts to promote social justice and solidarity.